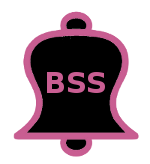 Want to become Friends of B.S.S.? Please contact us for details. BSS are off to Disneyland Paris in 2017! Join BSS for this years BBC children in need Tapathon! Welcome to Belles Stage School, a dance and stage school based in Kent and near the coastal towns of Whitstable and Herne Bay. Our school teaches professional dance and drama to students aged 2.5 years and up. Students are encouraged to audition for local Pantomimes. The school has an enviable rate of success with several students performing at local professional shows in Canterbury and Folkestone each year.